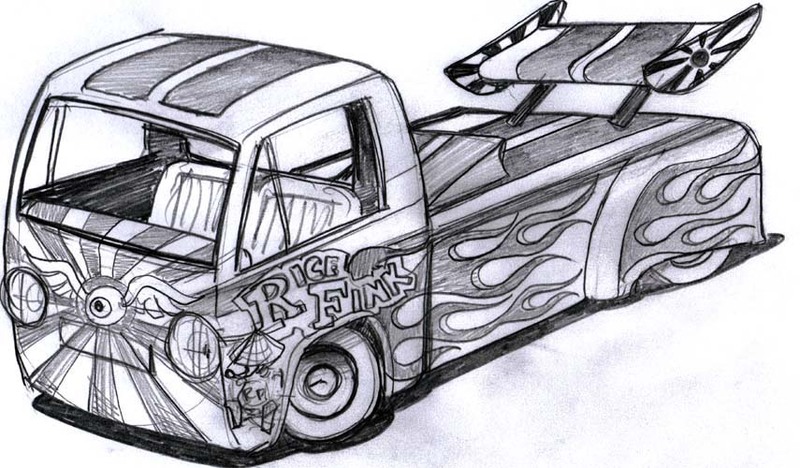 Since the "Rat Fink" started as a single cab, with nothing else, I had a lot of leeway with the rendering. Here is the rough concept sketch that started this whole nitemare! !